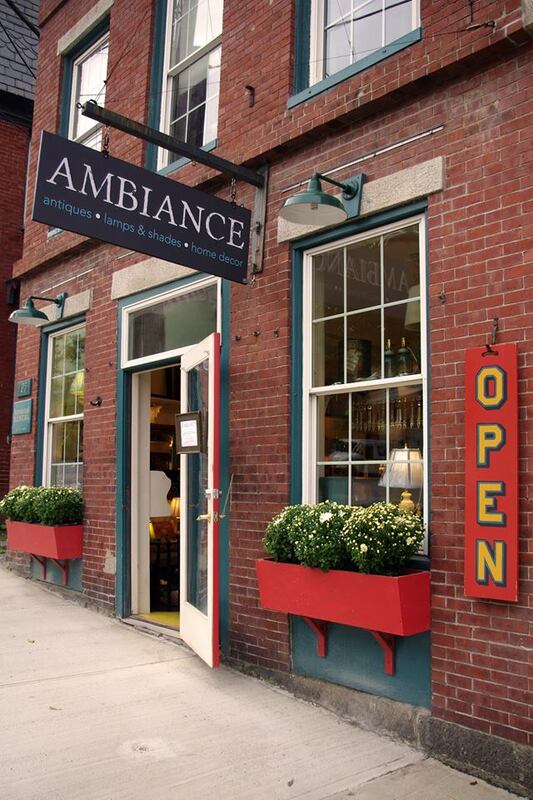 Stop by AMBIANCE - 125 Main Street in the charming seacoast town of Belfast, Maine. 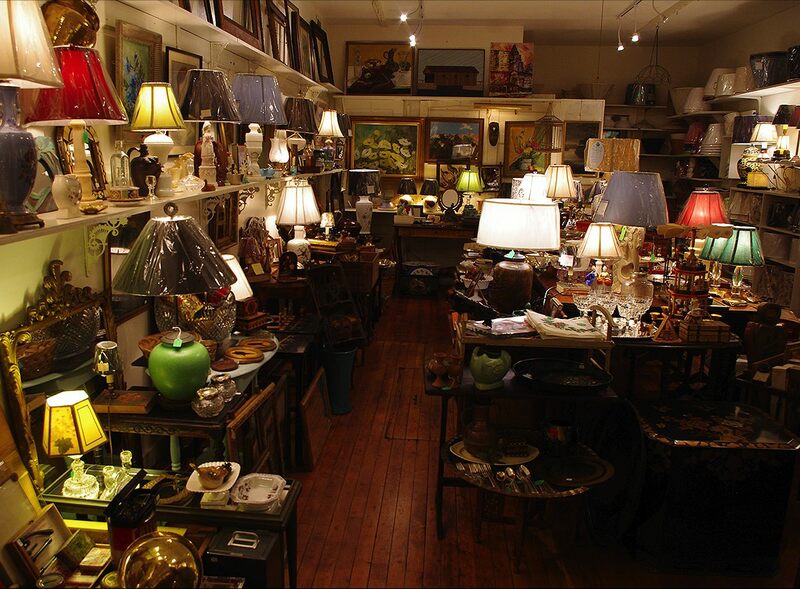 Vintage lamps and just the right shade, pillows, found art, small pieces of furniture, antiques and home decor items. If you are looking for a new shade for one of your lamps, they recommend you bringing the lamp to the shop with you so that they can find just the right shape, size and color, and if need be, adjust the size of the harp. Found an old lamp at a garage sale? Want to restore an old family lamp? Please bring your lamp to AMBIANCE so that they can examine it closely. In most cases, vintage lamps need to be rewired to avoid fire hazard and/or possible electrocutions. 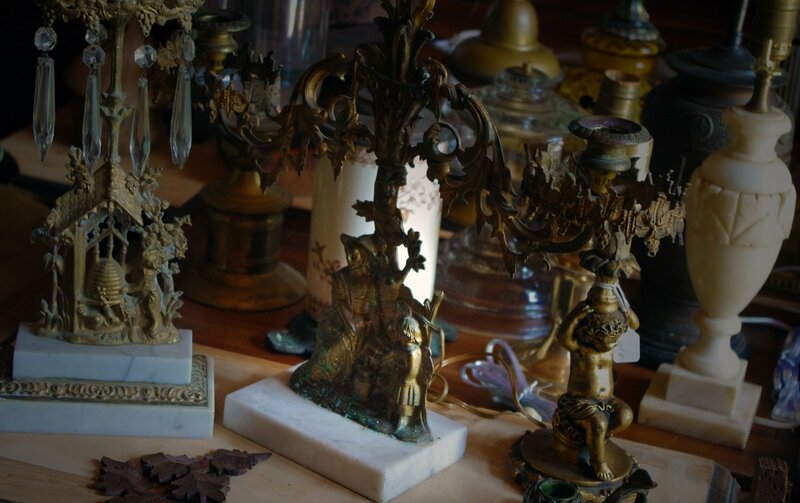 In the case of a restoration, AMBIANCE has access to many lamp parts both vintage (acquired over the years) and new (we work with many lamp part suppliers). 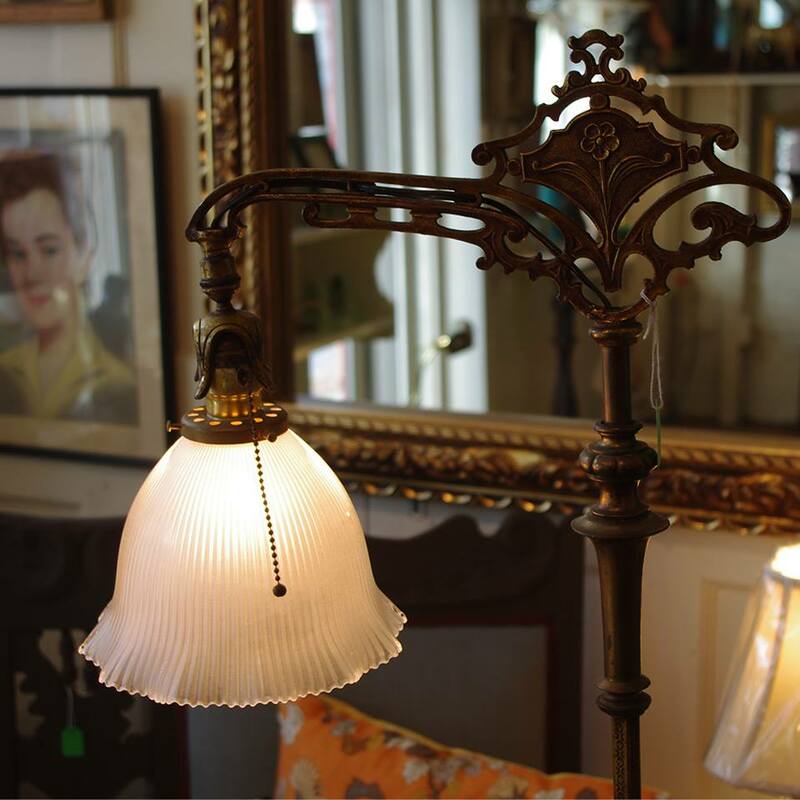 We would love to give your vintage lamp a new life! Gift certificates are available - make great gifts. Location: 125 Main Street in Belfast, Maine (Across from the Post Office).